Start using myDESIGNER by creating a new project. 1. 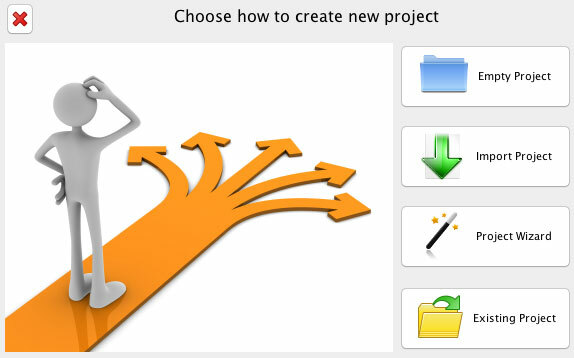 Click on the New Project icon in the main toolbar or use the command New Project from the main menu Project-> Projects. With this option, you can create a new empty project. 1. 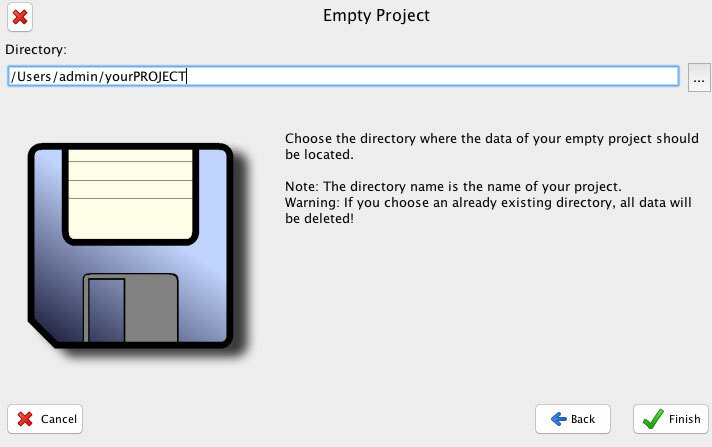 Choose the directory where your empty project will be located. 2. If the selected directory is not empty, all its files will be deleted. 3. Click on the Finish button to create an empty project. 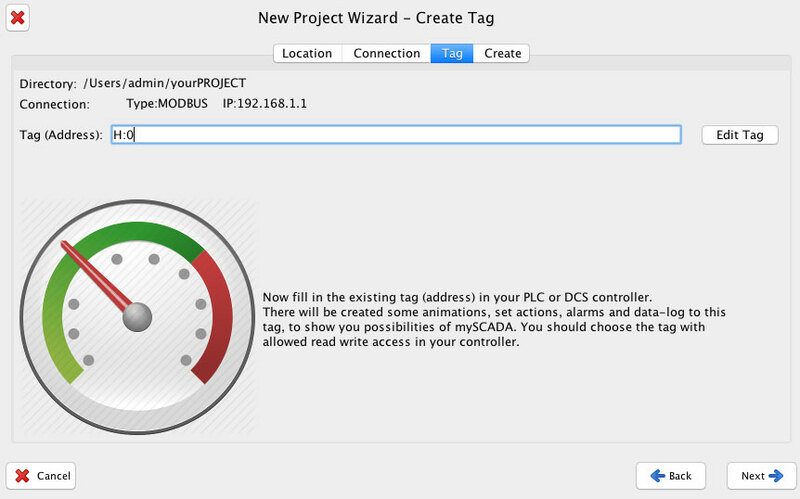 This option imports another project from an MEP file (all exported projects of mySCADA Designer use this extension). 1. 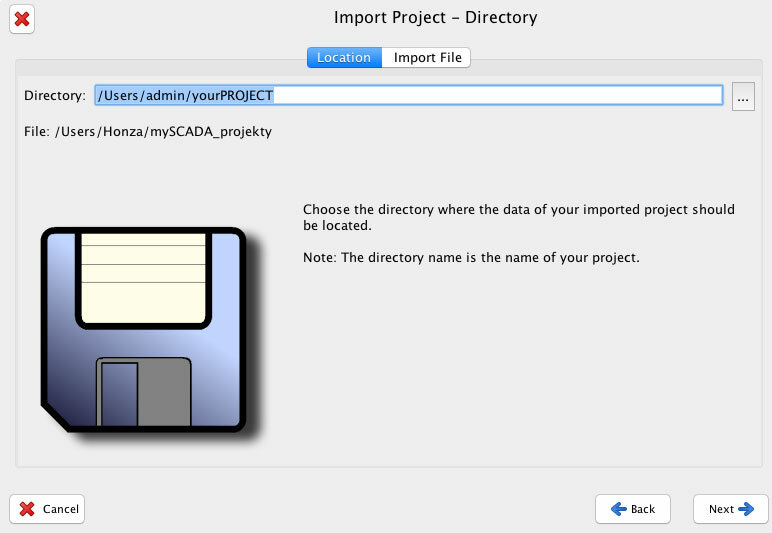 Choose the directory where the project to be imported should be located and click Next. 2. 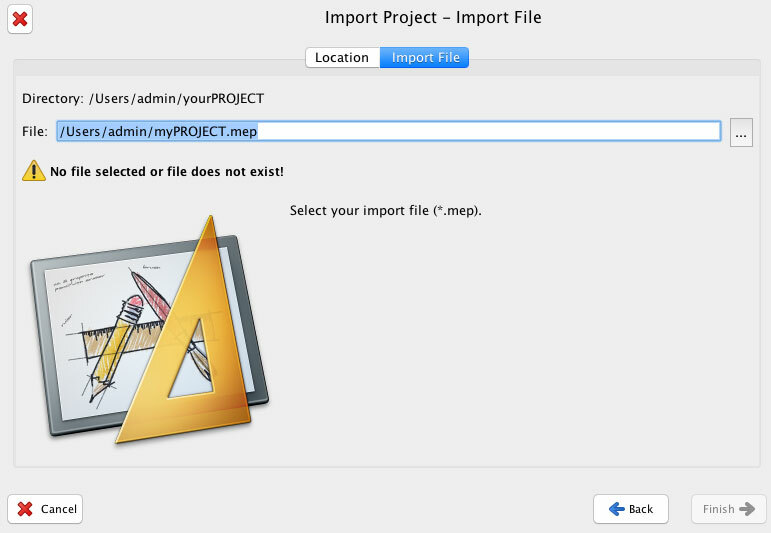 Click on Import File (suffix *.mep) and then on the Finish button – an imported project will be created in the selected directory. 3. If the directory is not empty, all its files will be deleted! 4. Click Finish to finalize the import. This feature helps you step-by-step to create a functional base for your new project. 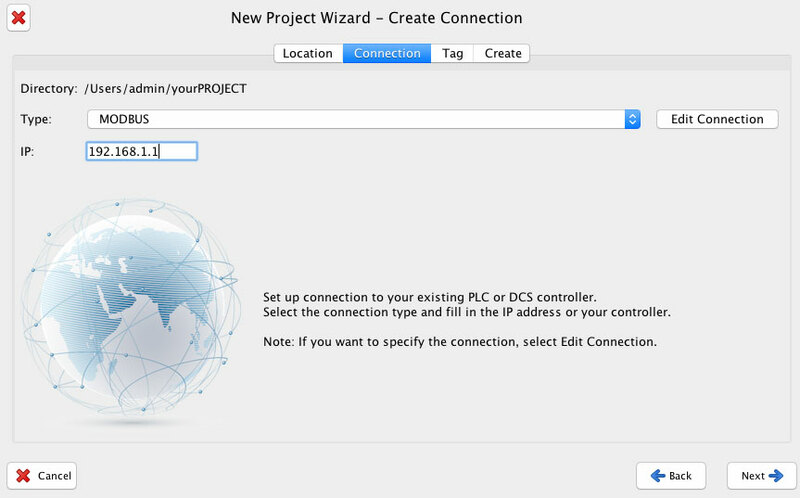 It will create a connection to the PLC, set up a simple screen with animations, and pre-configure alarms and data logging. 1. 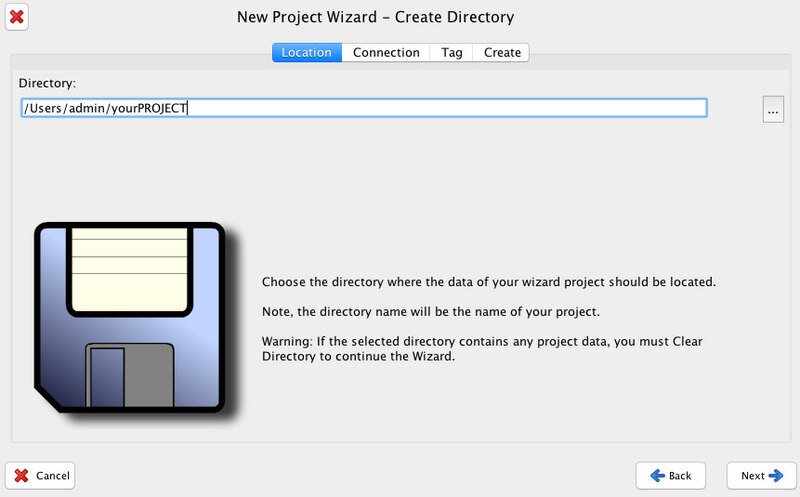 Select the directory where you want your new project to be located and then clickNext. Note: You have to click on Clear Directory first if the selected directory is not empty. 2. Set the connection to your device and click Next. 3. Set the Tag (Address) and click Next. 4. 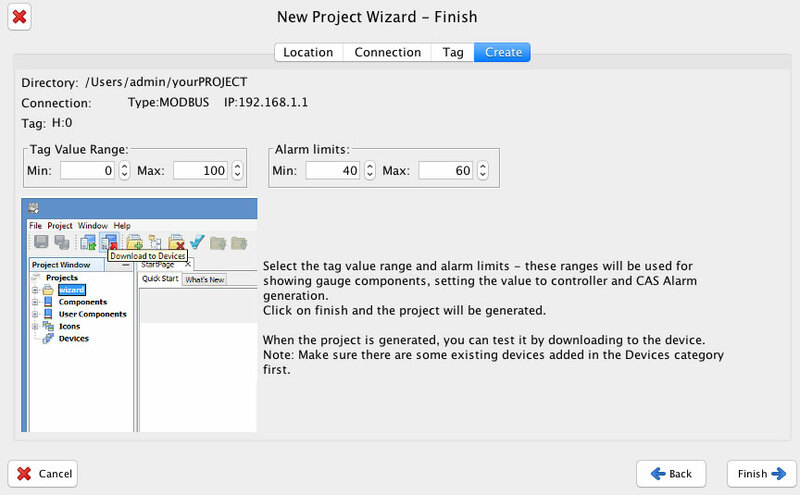 You can now set the Tag Value Range and Alarm limits. 5. Click on Finish to close the Project Wizard. 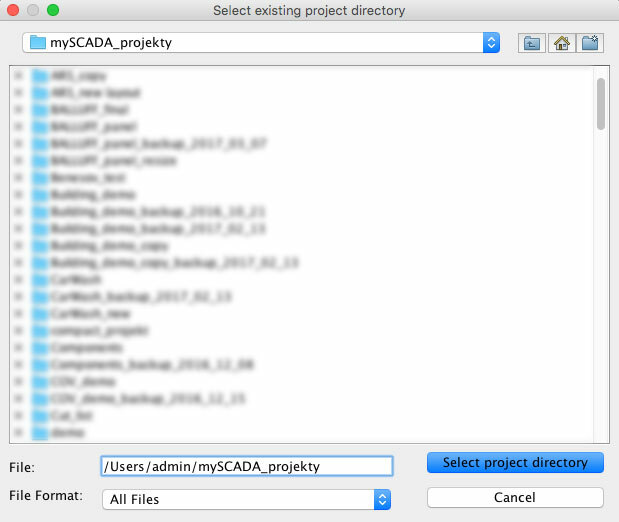 Navigate to the project directory and click on “select project directory.” It the directory contains project files, the project will be opened in myDESIGNER.